XPO Logistics will close its 571,000 square-foot warehouse on Harford County’s Perryman peninsula in Maryland by the end of March, a company spokesperson confirmed Jan. 29. The facility, which opened in the fall of 2016, is about 5½ miles from Aberdeen, Md. The closing will affect 167 XPO Logistics employees, according to Checkler. Harford County officials expected about 400 people would be hired to work there, when the announcement was made in October 2016 that XPO Logistics had signed a lease for the building. XPO Logistics is No. 1 on the Transport Topics Top 50 list of the largest logistics companies in North America. A local workforce network will assist employees affected by the closure of the Perryman facility, according to county government spokeswoman Cindy Mumby. “The industrial market in Harford County is strong with low vacancy rates, and if XPO no longer needs this space, someone else will,” Glassman said in a statement provided by Mumby on Jan. 29. The county executive stated that former employees could “easily find other work in the area where demand is high and expected to grow,” noting 1 million square feet of space is being built nearby. The 1 million-square-foot building Glassman referred to is the second phase of Eastgate, an industrial park in the county, according to Mumby. A number of other industrial facilities for companies such as Electrolux, Rite Aid and Sephora also are nearby. 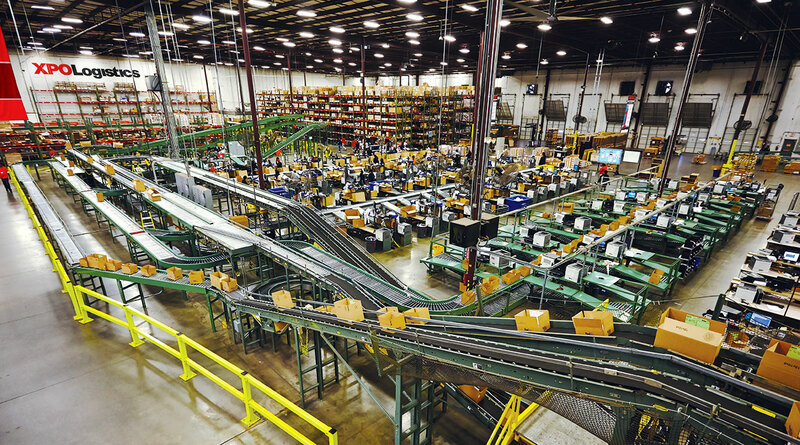 “We see strong growth in this [e-commerce and logistics] sector in Harford County because of our location on the I-95 corridor, available workforce and competitive rental rates,” Mumby said in an e-mail. She noted that Aberdeen is about a 45-minute drive from seven counties in Maryland, Delaware and Pennsylvania, plus it is close to regional ports, freight facilities and passenger rail lines.